For those individuals looking for an all-natural remedy for their sore, scratchy throat, many turn to Manuka honey lozenges to find relief. 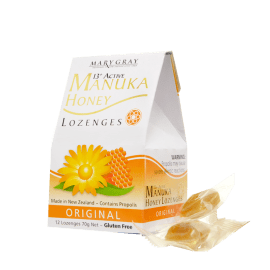 These lozenges are comprised of Manuka honey, eucalyptus, menthol, propolis and Echinacea to help soothe the throat and bring the individual some relief. But, what are all of these ingredients? Here we will explore each of the ingredients in Manuka honey lozenges and explain how each of them helps to soothe your scratchy throat. 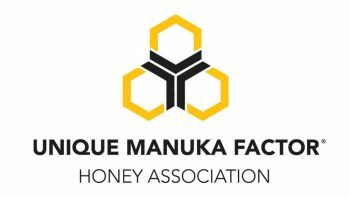 Manuka honey is a specific type of natural honey that is produced by bees almost exclusively in New Zealand using the Manuka bush. Honey has long been praised for its medicinal properties and Manuka honey is no exception. 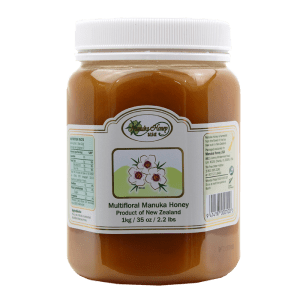 Manuka honey is thought to have many antibacterial properties that may help to treat the common cold while the sticky, thick consistency helps to coat and soothe the throat. Eucalyptus is an evergreen tree that was originally found in Australia and has since been introduced across the world. The leaves produce oil that is primarily used for medicinal purposes and has long been used on its own and in commercial medicines to help relieve and stop coughing. In addition to helping silence an annoying cough, eucalyptus oil is also helpful in breaking up mucus in the chest. Menthol is a crystalline compound that has a cooling, minty taste and smell. It is often found in peppermint and other varieties of natural oils. Menthol is often used as a flavoring in candies and other types of products but is also used in many decongestants and analgesics. Menthol is most often used in nonprescription products for the short term relief of minor mouth and throat irritations. 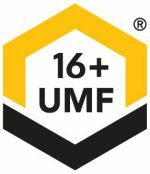 Propolis is a brownish-red residue like substance that is collected by bees from tree buds and other plants. 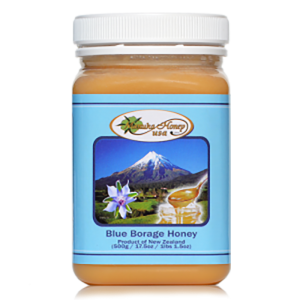 Bees use this substance to fill crevices in the hives as well as seal and varnish honeycombs. 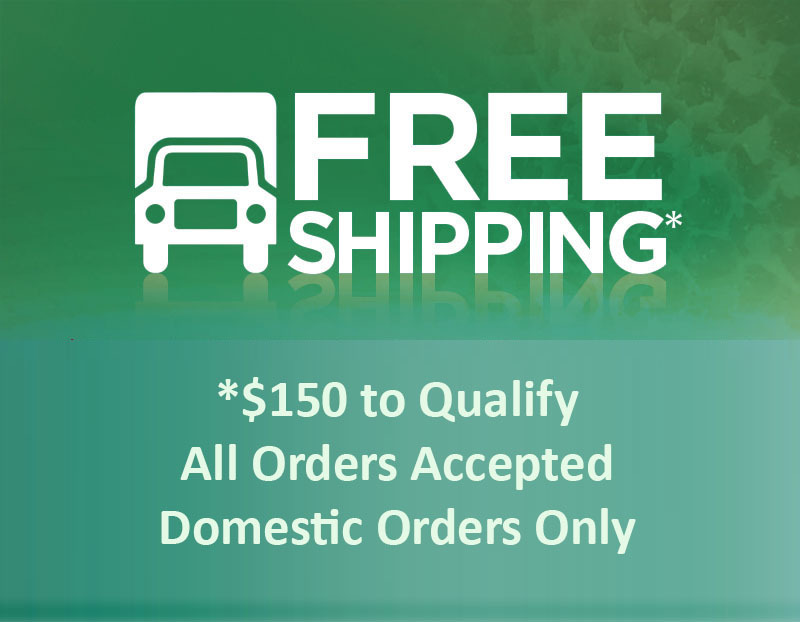 Propolis is also used in a number of skin care as well as health and beauty products. It is often associated with fighting infections, boosting the body’s immune system and helping to heal some skin ailments. Echinacea is a coneflower found in North America and Canada that is used in herbal medicine. Echinacea is renowned for its antibiotic and wound-healing properties and is often used to help treat the common cold. While studies are currently split on the effectives of Echinacea to treat the common cold, some studies have found that this substance does have a positive effect on the body’s immune system. 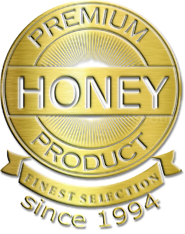 If you would like to order our Manuka honey lozenges, click here.